Perfect for wellness, corporate, religious, rehab or treatment. Currently a Yoga/Wellness Ctr. 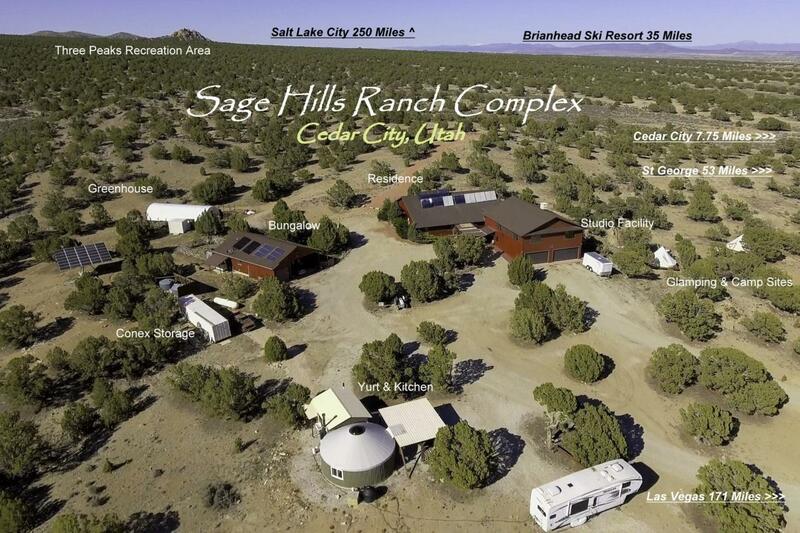 Property consists of 20.65 acres of treed hilltop land, 7.75 mi W of Cedar. 5 distinct parts: 4350 sf Residence; 4000 sf Studio & related; 900+sf Bungalow; Lg Yurt w/comm kitchen, 2 glamp+17 campsites. Part off-grid w/Solar Elect & heat. 2 wells w/4 AF water; upgraded elect & internet. See Document Tab!! Listing provided courtesy of Realtypath St George.